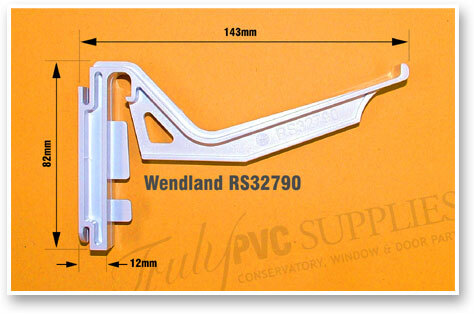 Product information "Wendland RS32790 Conservatory Gutter Brackets (5 Pack)"
These new Wendland Marshall Tuffex conservatory gutter brackets (part number RS32790) are a Twist-and-Lock type, so they are quick and easy to fit, with no need for screws. 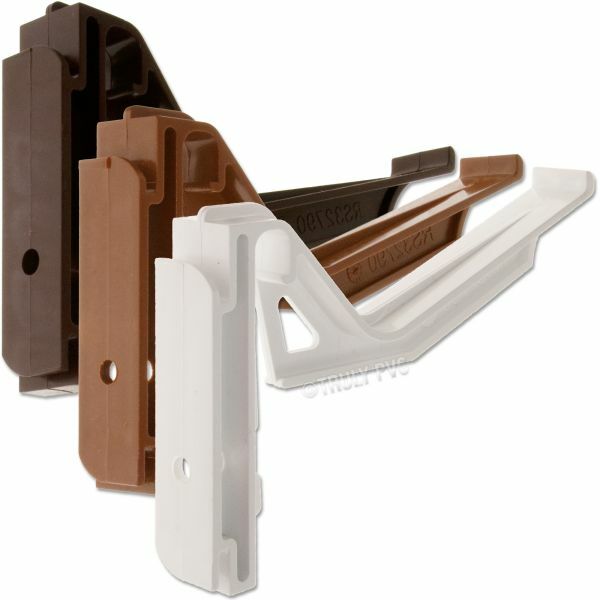 The RS32790 conservatory gutter brackets are available in a choice of three colours: White, Chocolate Brown or Caramel. 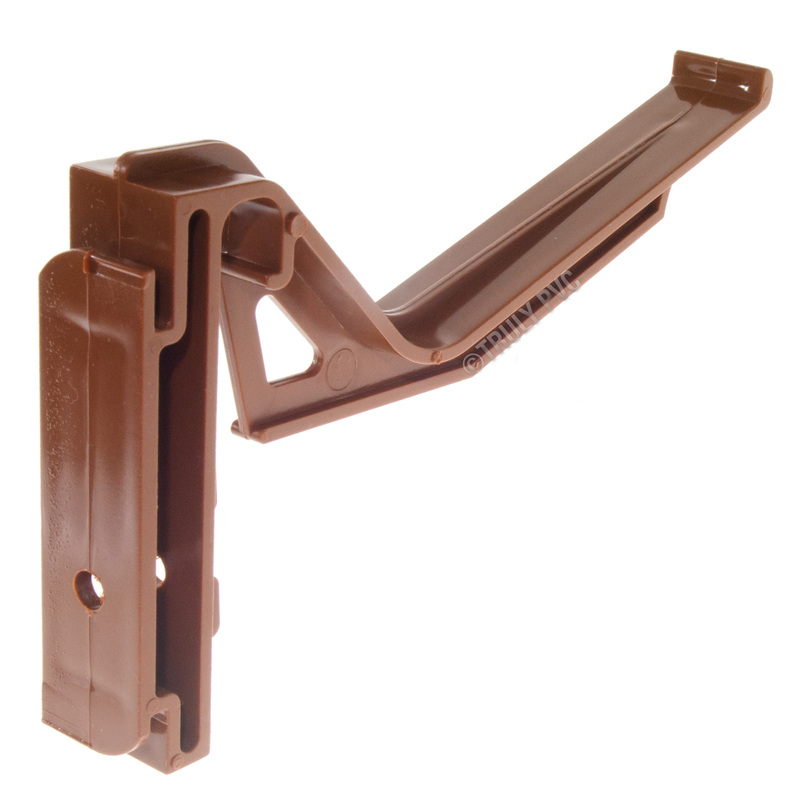 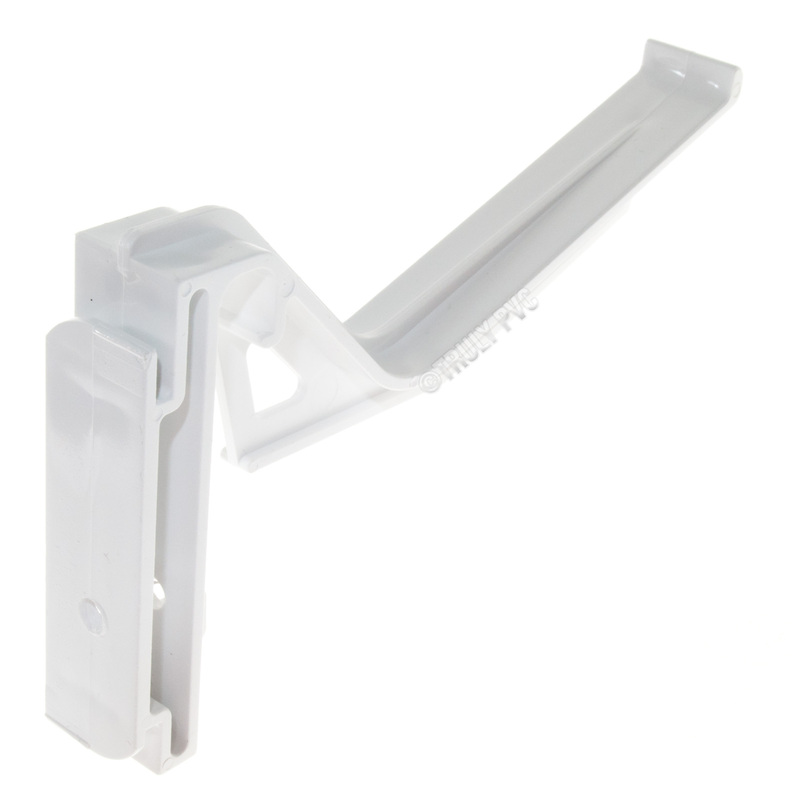 These brackets are similar to and often confused with the Eurocell CRS-8207 bracket, which in some circles is know as RS32790 Type B. 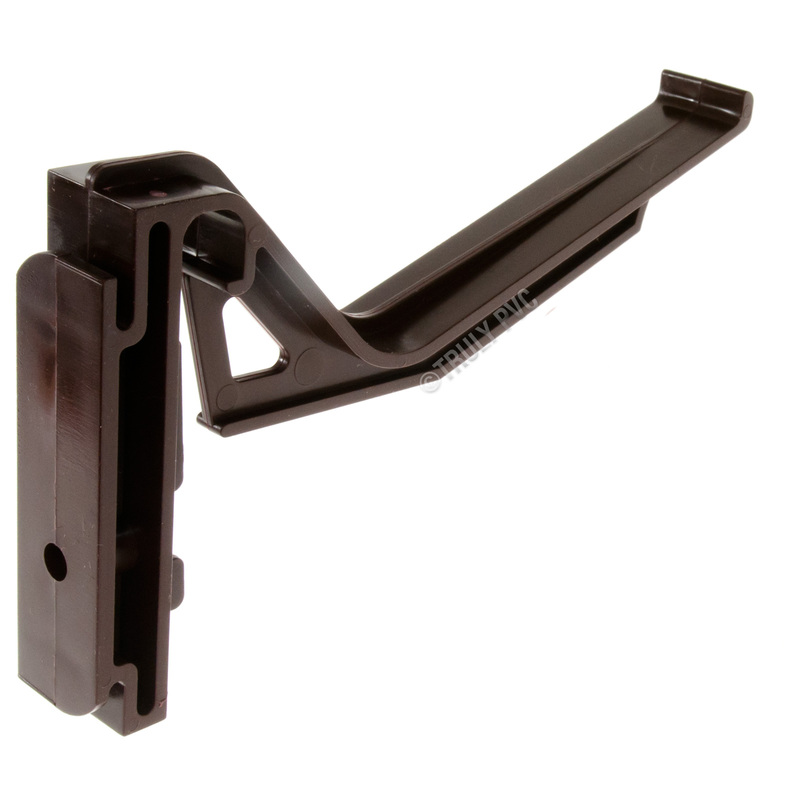 To be certain that you are ordering the correct bracket, refer to the measurements below. Related links to "Wendland RS32790 Conservatory Gutter Brackets (5 Pack)"
Customer review for "Wendland RS32790 Conservatory Gutter Brackets (5 Pack)"